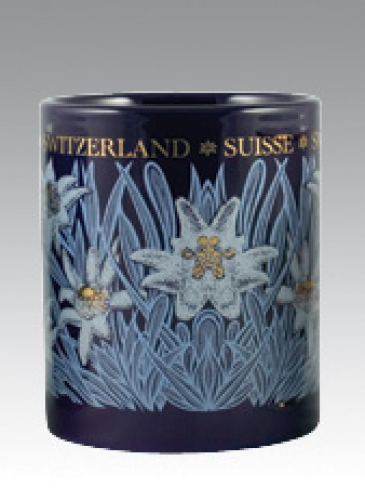 Cobalt Blue mug with Edelweiss. 10 oz. Service Area: New Glarus, Janesville, Freeport, Machesney Park, Middleton, Whitewater, Roscoe, Monroe, Oregon WI, Verona, De Forest and surrounding communities.